The American River College horticulture department is hosting a floral shop fundraiser every Thursday this semester. Students looking to brighten a day with a simple gift of a flower can now look to the ARC student center floral shop, open every Thursday from 10:30 am to 12:30 pm. 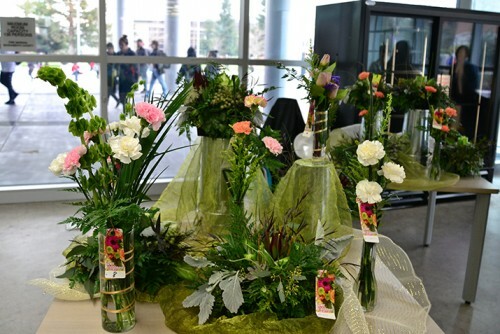 ARC’s horticulture department is showcasing a floral arrangement and single stem flowers. “All proceeds go back to the floriculture department.” said Nina Railen, a third year floriculture intern. Most ARC students involved in the floriculture department move forward and make this profession a career. Fundraisers like these help students with costly supplies needed throughout the semester. If you are seeking a certain floral arrangement style or color there is a friendly and knowledgeable staff able to help with any questions. 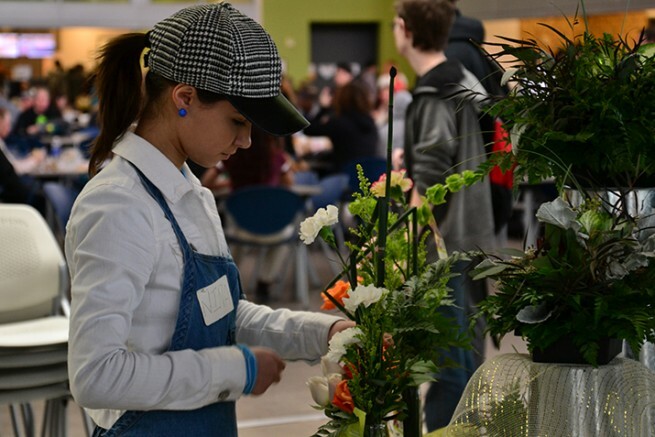 Leticia Landeros, who recently enrolled in the floriculture department, said “staff is always present to answer any questions or concerns about the floral arrangements”. Most arrangements on display are sold in a glass vase, and also a variety of single stem roses and flowers are sold at the counter. If seeking something different than the floral arrangements on display, ask floral shop staff with assistance in making a personal arrangement to your liking. Manny Garcia, a first year student at ARC, purchased a single stem rose from the floral shop. “This is for a very special lady, my beautiful girlfriend,” Garcia said. This fundraiser is a great way to help out the floriculture department. The floriculture department has courses and programs to help inspire students to achieve their career goals. Be the first to comment on "ARC hosts a Floral Shop fundraiser"